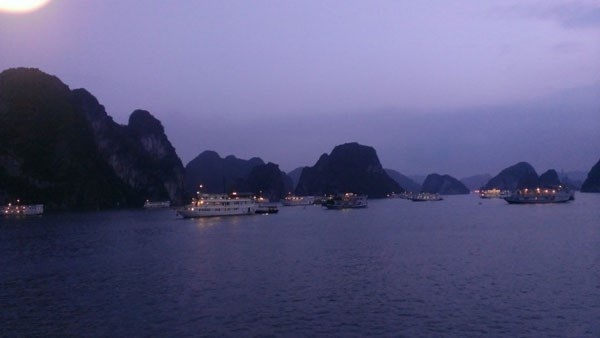 Halong Bay is a well-known destination for sight-seeing, swimming, diving, kayaking or trekking, but there is a very interesting activity that not many visitors know about. 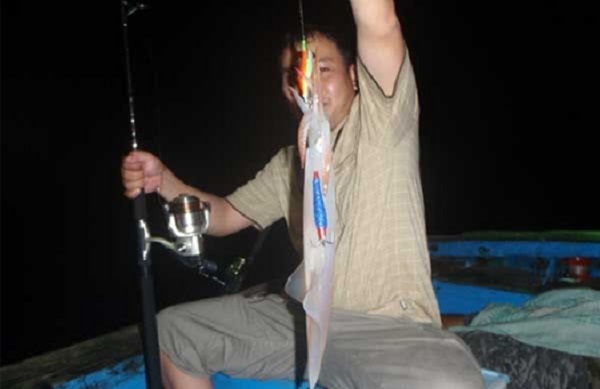 We are talking about squishing, or squid fishing – an activity that will bring wonderful pleasure to your night cruising on Halong Bay. 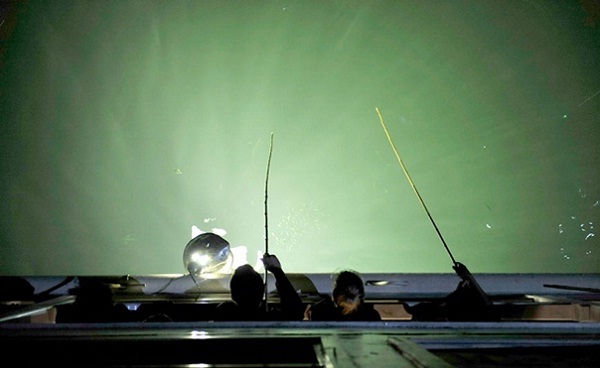 Squids are attracted to intense light source, so squid fishing is done at night with the help of colored light bulbs. A fishing rod and a racquet are prepared for each tourist. The fishing rod for squid is very different from the usual one. It is just a bamboo rod with a fishing line tied to it with a squid lure, no bath is needed. With the fishing rod, tourists can select a location on the boat where they think light shines into the water intensely, try different depths, different squid lures, etc… to find out themselves the best way to catch squids. 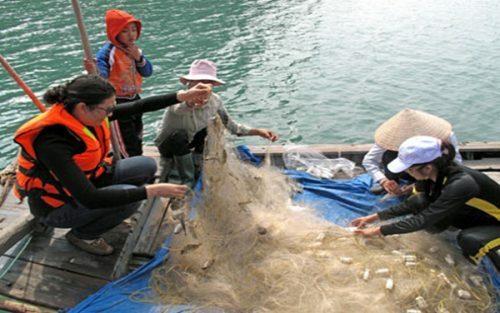 Of course, the local fishermen also instruct them how to fish for squid. Tourists will be excited to see shoals of squids lazily hovering around, step by step they will be enticed by the light source and the lures and cling to the lures. When you feel the slightest pull on your fishing line, pull to rod to pick up the squid. Now the squid is caught, remaining totally fresh and striving convulsively. It’s the best to eat them right after they’re picked up. 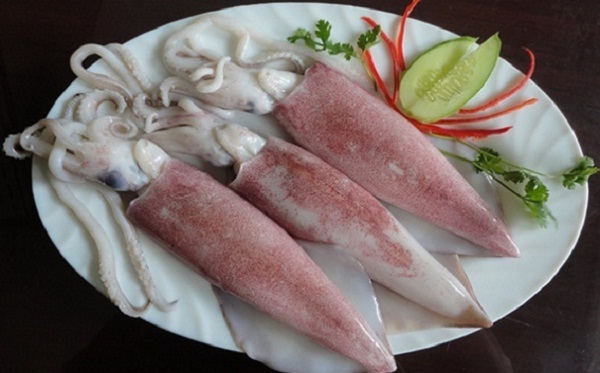 There are many delicious squid dishes in Halong, but the most favorite by foreign tourists must be boiled squids. In most cruises, the cook will prepare the dish for you, but you can also cook it yourself. When the dish is served, this is an ideal time to enjoy both the fresh taste of the squid and the spectacular beauty of Halong bay by night. Boiled squid is tourists’ most favorite dish to taste the newly caught squid. Squid fishing can be a real challenge at times, but the interesting feeling of being a fisherman is well worth the effort to learn. Try this activity and it will be the best highlight of your Halong Bay trip.